Love Zullo’s work. I like how the uniform actually looks (marginally) practical. The zipper isn’t stuck down at her navel and she’s wearing actual combat boots, not Doc Marten high heels. Yup. I find Zullo’s work charming, too. But exactly what you said about the costume is why I chose it for the Gallery. This is nice. 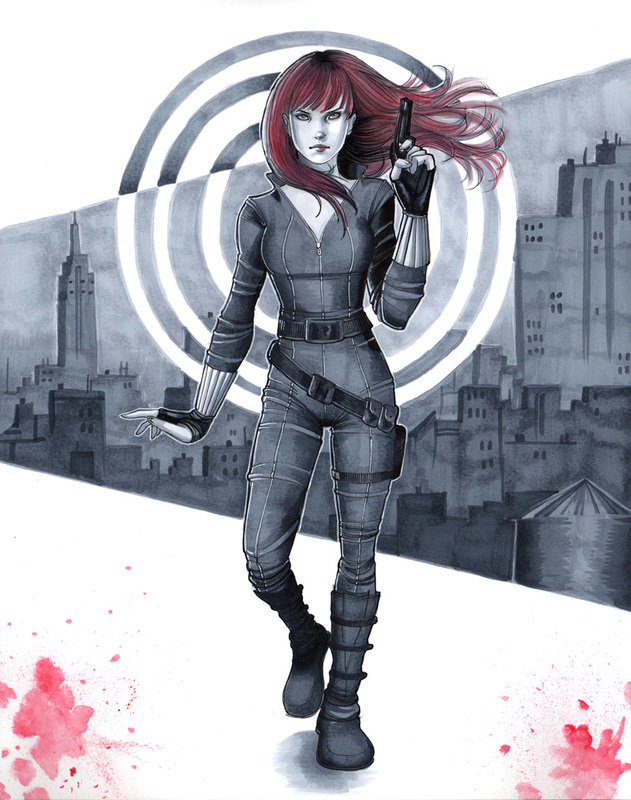 I prefer this styling of Black Widow than what I have seen of the film version one.